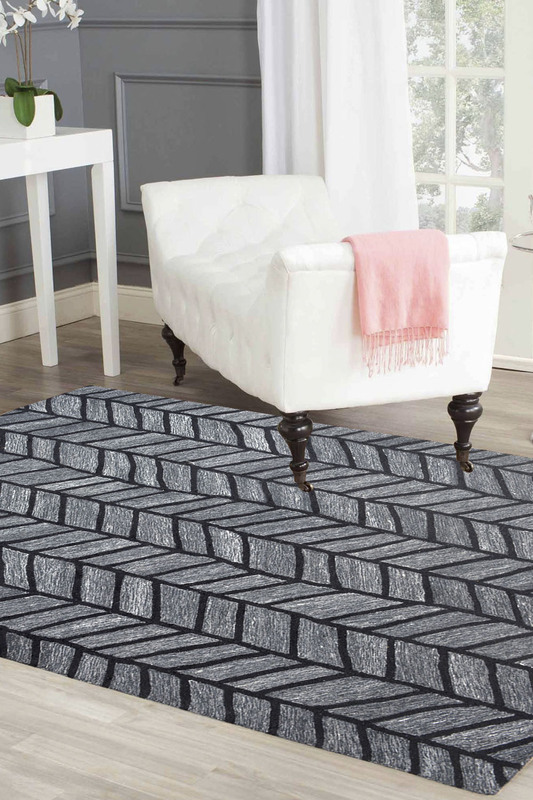 Beautiful charcoal grey, hand tufted woollen rug with a symmetrical design pattern. Get this luscious rug to add some oomph to your existing place. - This is an absolutely gorgeous hand tufted rug made in the finest wool material. - The design represents a series of upward arrows in perfect unison. - One of a Kind and will look perfect in a room with light interiors and home decor.